Burberry Group Inc is a British luxury lifestyle fashion house founded by Thomas Burberry. The company designs, manufactures and sells products in various segments like sunglasses,fragrances,accessories ,cosmetics and garments.to know burberry digital strategy you must first know that the company also get some bad phase in business and they opted for digital marketing strategy .but we will tell you about burberry digital marketing strategy and there implementation. Company used Facebook for live streaming and exhibiting products, Instagram for visuals and Twitter to incite user engagement and interaction.apart from this they did various other campaigns. 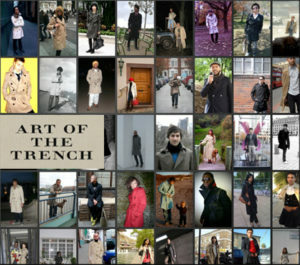 Burberry launched its kisses campaign in collaboration with google. according to this campaign the users send out virtual kisses in the color of their favorite burberry lipsticks using there webcam or just kissing the screen and google street view using its 3rd landscape then enable users to actually follow the journey of their kiss to the recipient. 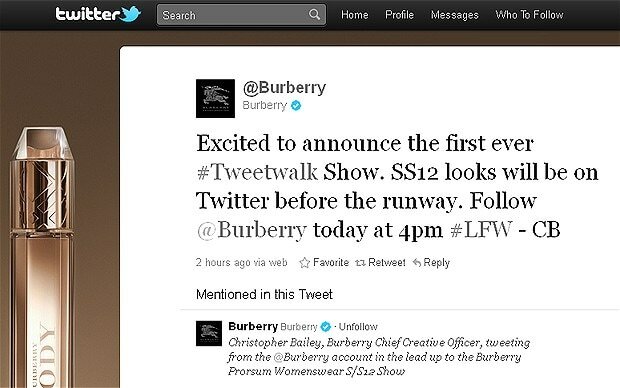 Burberry in collaboration with Twitter launched its Tweetwalk campaign. The fashion house shared backstage visuals of its unreleased Spring/Summer collection with its fans even before the collection made it to the ramp. To add to the excitement Burberry fans were given an opportunity to buy products from the latest range before it was made available to the general public. The idea was to celebrate the brand with its customers. The campaign took Twitter by storm with 50000 views . The Scarf Bar campaign allows customers the option of selecting from a range of 30 scarf colours and shades of thread. Like in Bespoke customers can get their initials monogrammed onto the scarf. 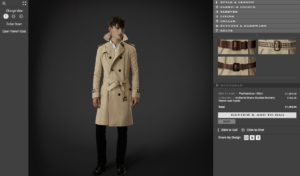 These exhaustive features are all available on burberry.com and customers can do all the customization online with the help of a tool, which gives users suggestions as well. Thereafter, customers can check the preview and order the product online. The company’s revenue skyrocketed from 743 million pounds in 2006 to 2523 million pounds in 2015.